So here we are. 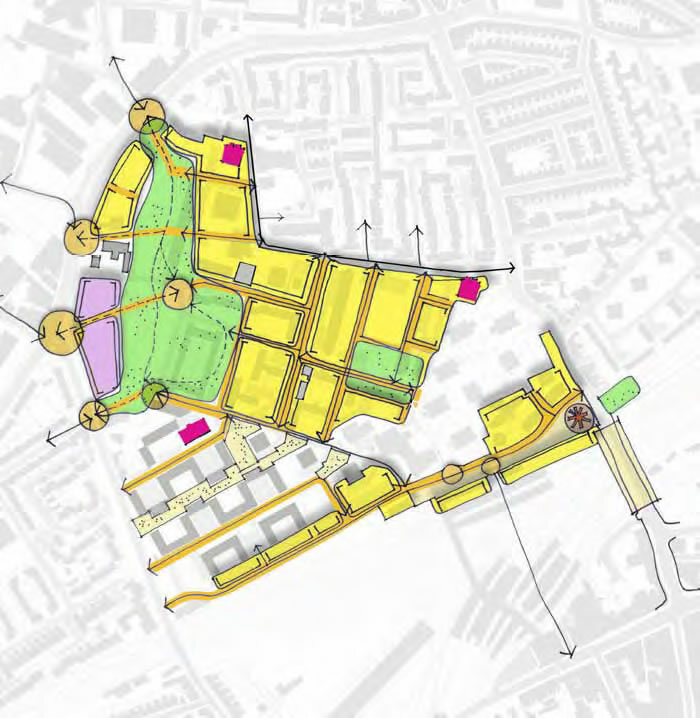 A specialist masterplanning team has been appointed to work alongside the community in creating new development proposals. The team includes property consultants GVA and architects Levitt Bernstein. The Council is now presenting four different improvement proposals for the Winstanley and York Road estates and asks for your views on their relative pros and cons. According to the Council’s website, these options are not fixed, and they could be blended and combined to form a new outline plan for the area. 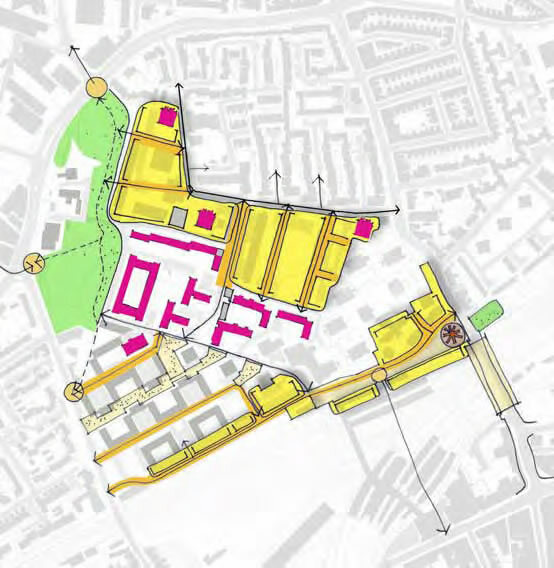 Original Plan: Retain and Refurbish the existing buildings with new homes along Grant Road (Better Shops, Improved Homes, New Station Piazza, New Homes along Grant Road, Improved Winstanley Road). 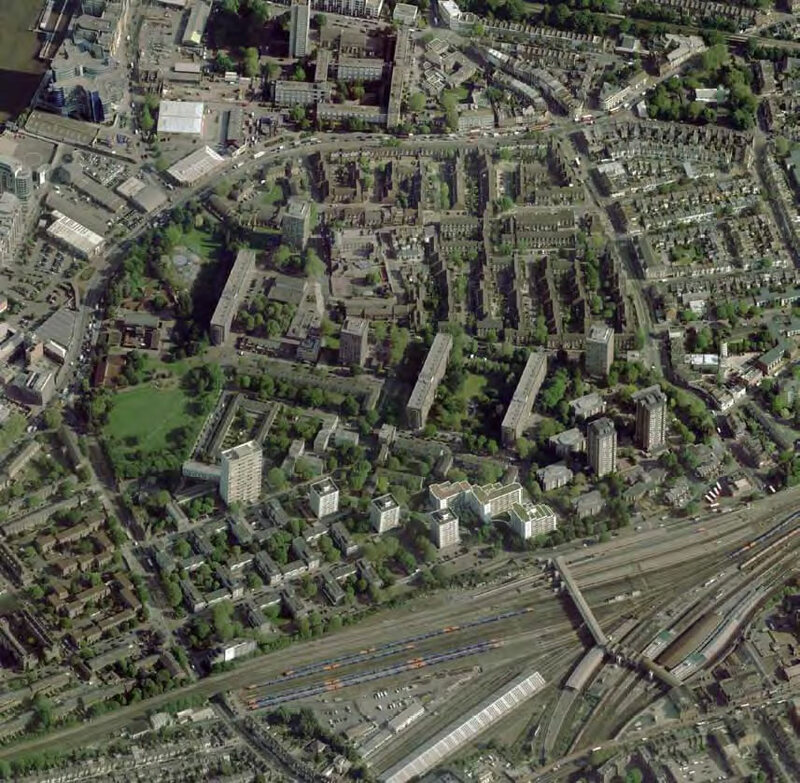 Option 1 – Moderate change: Develop York Road Estate but retain all three Towers (New and Improved Homes New Station Piazza, New Homes along Grant Road, Improved Winstanley Road, More Homes and Housing Choice Better and Safer Streets). Option 2 – More change: Develop York Road Estate and a few of the Winstanley blocks but retain all three Towers (New and Improved Homes, New Station Piazza, New Homes along Grant Road, Improved Winstanley Road, More Homes and Housing Choice, Better and Safer Streets, An improved Park & Facilities, Better Play and Public Spaces, A New Leisure Centre, New and improved Shops, New Health Centre). Option 3 – Greater change: Develop York Road Estate and more of the Winstanley blocks and retain two Towers (New and Improved Homes, New Station Piazza, New Homes along Grant Rd, Improved Winstanley Rd, Better and Safer Streets, An improved Park & Facilities, Better Play and Public Spaces, A New Leisure Centre, New and improved Shops, A New Health Centre, More Homes and Housing Choice, A New Park with scope for New Play and Recreational Facilities). The original “refurbishment” scheme is meant to cost around £20 millions. As we’ve be told by a member of the housing department, the Council is prepared to borrow (meaning it will have to be paid back) up to £100m in addition to the £20m, to fund redevelopment plans. 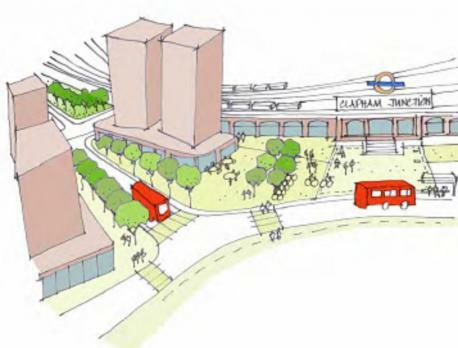 All options include sticking out 2 towers just meters away from Clapham Junction bridge, at the corner of Falcon Road/Grant Road. 2 others behind. The two tallest towers of Falcons estate will stay, as they have been sold and are currently owned privately. With the new plan, it will be 6 of them. Who said that the local residents wanted less towers? 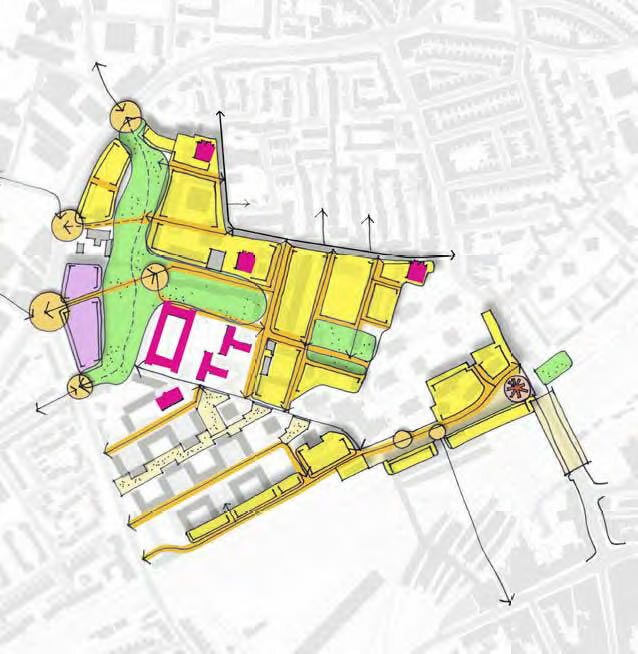 Architects think that the site is close to the town centre (actually just adjoining Clapham Junction town centre AND conservation area) and therefore the location is auspicious. will be offered the market value of your property, plus 10% (or 7.5% if they are not residents). More information on this page. Maria Clara Abreu Barbosa, 46, of Ganley Court, said the council have offered her a flat in exchange for the house she owns if option three goes ahead. She said: “Ganley Court is lovely. It is fantastic, we have a front garden, it is amazing. It is very hard to find a house like that. The consultation is running for six weeks and started at the beginning of November. There will be another drop-in session on Wednesday 20 November, 10am-1pm at York Gardens library. 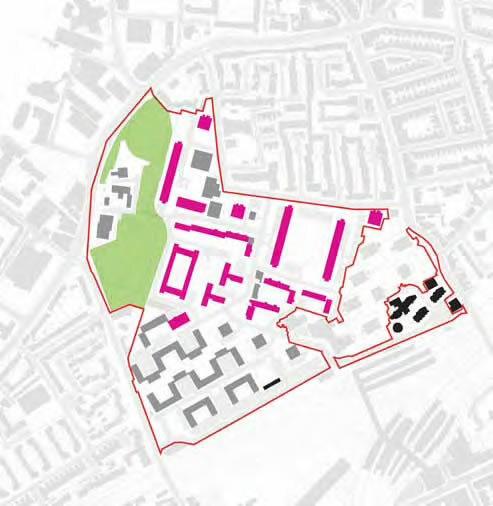 As everyone is saying, this is just a very open proposal at this stage, concentrated on the redevelopment of the estates. However there has been little talks on the redevelopment of the area beside the railway, and no option has been proposed but the same twin towers. In January 2014, the plan is to organise a public exhibition of what could be possible with the preferred options. The council plan to begin building work from 2016 which will take up to 15 years. It is against human rights!! !I am a freeholder and they want to take our houses to build big blocks.We are going to fight for our houses with our private gardens, where we can grow our vegetables and our flowers!!!. I am also a freeholder and bought my property based on the large amount of light that it gets, benefiting from being South facing with a front balcony. I live in Sendall Court just opposite Clapham Junction station and currently there is only a car park in front of the building. All plans have a long 5 story building all along Grant Road which will obstruct the sun from the first floor. Sad Face.